Designers Ronan and Erwan Bouroullec have created the Workbay chair for Vitra. 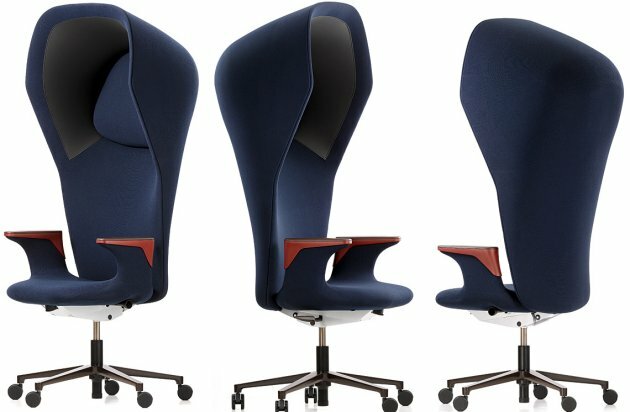 Workbay protects its users visually and acoustically thanks to the shape of its high backrest. It opens the possibility for users to distance themselves, even in busy environments, so as to be able to concentrate better with fewer disruptions. Visit Vitra’s website – here. Visit the Bouroullec website – here.